Car shipping quote is available by Seakargo.com A car shipping quote will provide you crucial information to make the right decision to complete your car shipping plans. The car shipping quote provided to you will fully inform you of such things as origination and destination, approximate departure date, disclose whether your car shipping order will be door-to-door or terminal-to-terminal and of course the price. When Do I pay for Car Shipping? The cost of car shipping differs from quote to quote. Some car shipping companies require payment in advance while others require payment upon completion of their car shipping contract. Those car shipping companies that require a contract deposit will typically require certified funds from a Bank or request you pay in cash. If you pay by credit card for car shipping you may be required to pay an additional surcharge fee for credit card processing. Some car shipping companies charge a cancellation fee. Some car shipping customers find it necessary to negotiate specific terms of car shipping contracts, so don't hesitate to inquire about any particular car shipping requirements you may have such as requiring your car shipping delivery date to occur on a certain date rather than the typical contract language for an approximate arrival date as most car shipping companies offer. All of the terms of agreement in your car shipping contract should be specific and without ambiguity. Read your car shipping contract carefully prior to execution and payment. 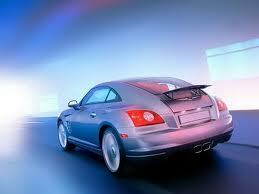 Car shipping companies typically honor all terms of their car shipping contracts. 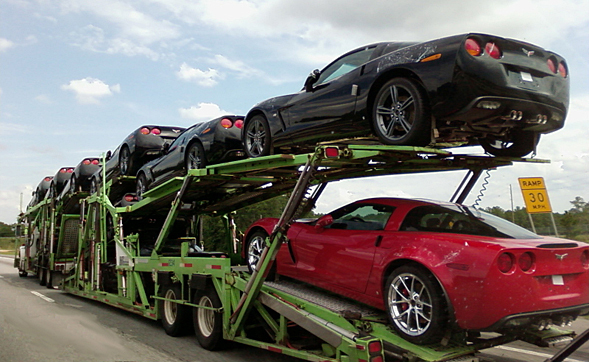 Don't rely upon oral pre-contract inducements when you negotiate a car shipping quote. The car shipping contract speaks for itself to assist a mediator or courts settle disputes arising in car shipping relations. 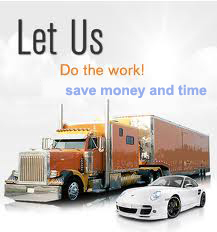 If your car shipping contract is not well written then your contractual rights may be diminished and disputes may go in favor of the car shipping company, unless your car shipping contract is precise as to your specific car shipping quote requirements. Should I buy Car Shipping Insurance? Ordinarily car insurance policies insure for theft or damage to your car. However, depending upon the state you reside, and depending upon the state the car policy was issued, you may not have full coverage, or any coverage or you may have exemptions, limitations and exclusions to defeat coverage when your car is under the care of someone engaging in a commercial car shipping contract relation. Customers with wisdom will routinely contact their own insurance agents prior to entering into a car shipping quote. Let you insurance agent or insurance company advice and guide you how-best to insure your car under a car shipping quote. It may be prudent to spend a few extra dollars to insure your car from the car shipping company rather than guess you have the necessary coverage in a car shipping quote. When you drop off your vehicle for car shipping, always require a pre-ship inspection to assure a record of the car's condition. When you arrive you will also want to repeat that inspection to assure no damage during the car shipping process. It is crucial that you check your car mileage prior to loading the car and upon acceptance after arrival to assure your car was not improperly driven by others during the transport of your car. Prior to leaving your car with a Car Shipping company, be sure you receive an original Inspection report. This report provides you with very important information such as: pick-up and delivery time, current mileage. It also shows the condition of your car at time of pick-up (pre-existing scratches and dents, cracked glass/mirrors, general paint condition, etc.). Keep this report and use it when you receive your car back. * Elite Car Transporters has provided dependable automobile transportation for individuals, military personnel, private corporations, moving & relocation companies, and numerous car dealers nationwide. It is important to ask your car shipping company about estimated pick-up and delivery dates and times. You should be able to get a 3-day window for pick-up. The window may be larger during the busy summer or snow bird season. Nevertheless the Car Shipping company should warn you of possible delays ahead of time. If you need an exact date for pick-up, most Car Shipping services can pick-up your car and hold it at a terminal for an additional charge. If you are promised exact dates, get it in writing. If service is not performed on promised dates, you can ask for possible reimbursement (discounts, no cancellation fee, etc.). Once pick-up is made, your Car Shipping company should provide you with a fairly precise delivery date. Occasionally a late delivery can happen. Listed below are a few reasons for possible delay of delivery. Often a customer will need an immediate pick up, which does not allow ample time for a reservation on one of our transport trucks. Our Car Shipping carrier will pick-up your car on the day requested, but we will need to hold the car until the first space becomes available on one of their trucks. Uncontrollable factors such as mechanical breakdowns, unfavorable weather conditions, and traffic situations, can also cause delays. Department of Transportation Regulations can also affect the delivery time. * We are aware of how important your car is to you, and we will provide you with a realistic time frame for delivery. Upon your requesting a specific pick up date, we will not guarantee a delivery date, but Elite Car Transporters will make its best attempt to accommodate your needs, unlike other companies that charge a fee for this service. If the exact date you request is unavailable, we will work within a 2-3 day time frame of your request. that offers three different ways of shipping cars . With Roll-on/roll-off (RORO) , goods such as Cars, Lorries, Trucks, and Trailers can be transporterd from one country to the other. 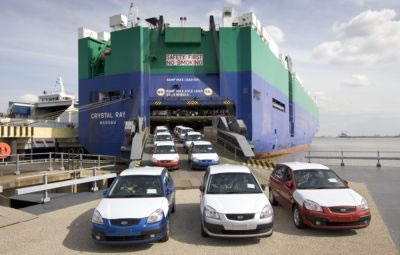 Not all countries can accomodade RO-RO car shipping, This is because the unloading of this type of ship for shipping vehicles overseas requires special docks. 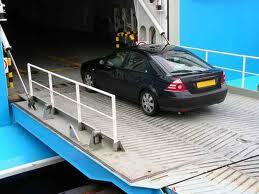 The vehicles are transported in specially designated places on the ship. On arrival at the destination port, the vehicles are unloaded by driving it out on ramps aligned with the cargo dock. 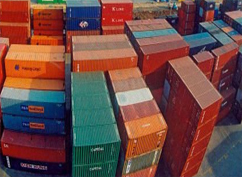 For those whishing to ship more than 2 cars, we can offer a high cube container. This containers loads up to 4 cars into a single container. The shared container service means that cars can be loaded or off loaded safely without any damage to the vehicles.. Thus, it saves money for the international shipping companies which is directly passed on to you in the form of cheaper shipping rates. Using this way of shipping , 3 or 4 cars depending upon the size of the car are loaded in a high cube forty foot container. For those wishing to ship their cars in private containers,this can also be done.Our shipping agents will position your private container at our shipping warehouse. 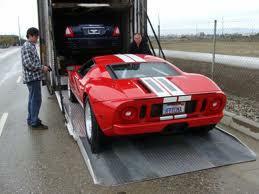 After that, a professional car loader will drive your car into the container and will secure it for Car shipping. When the container reaches the destination you will be advised to go and collect the container. Understandably, this type of International shipping becomes slightly more expensive because you are paying for the full container even though you may not be using the full space it offers. The benefits to this form of shipping cars is that the car your import will be safe from any sort of damage or theft that may occur on board.